There are different types of Landlords and different kinds of Landlord Insurance. 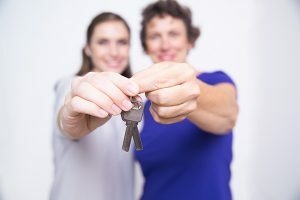 Insurers differentiate between a Landlord who has a buy to let house that is rented to a family and a house that is let by the room to individuals. A landlord that owns a pre-63 let in individual units is different from a Landlord that owns and lets a purpose built apartment or apartment block. As with all insurances it is essential that you give all details of your circumstances to the Insurance Company so that they can assess the risk properly. At Pembroke Insurances we deal with a wide range of general and specialist insurers in order to look after all aspects of the cover required. It is important to tailor your insurance policy to match your exact set of circumstances. As a landlord, you may have let your premises fully or part furnished. It is important to make sure that your contents are covered under your landlords’ insurance policy. The contents should include all furniture, carpets, curtains, crockery, cutlery, TVs and anything else belonging to you that can be removed from the property. Cover may be arranged for a wide range of perils including Fire, Storm, Flood, Theft and Malicious Damage. By including contents in the policy you will also be covered for Public Liability for injury or damage caused by the contents / furniture. Cover for contents will not include cover for contents belonging to your tenants. The insurance that you choose on your buildings will dictate the level of protection that you have on your asset. You should cover the buildings for their rebuilding cost rather than the market value of the property. If you are underinsured the insurers will reduce the amount of any settlement in the event of a claim. 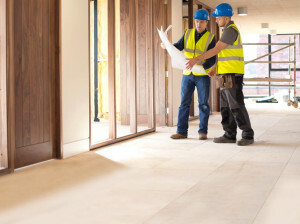 Rebuilding costs can be sought from The Society of Chartered Surveyors in Ireland https://www.scsi.ie/ . Buildings insurance should include fitted furniture, sanitary fixtures and fittings and fitted kitchens. Injury or damage to members of the public or tenants caused by defects in the buildings will be covered by the public liability section of the policy. When you are protected for the loss of or damage to your buildings and contents you will be compensated for their loss in the event of a claim but you also need to protect the income that you receive from the premises while your tenants are out and not paying rent. You may have a mortgage that needs to be paid whether you have a rental income or not. Loss of rent cover is available to cover all of the rent for a period of 12, 24 or 36 months from the date of an insured loss. If you own multiple policies it can be useful to group them together and seek discounts for volume. Many insurers will allow discounts for multiple policies or very large sums insured. There can also be a benefit to grouping your properties with one insurer is that if you have a bad claims experience on one building the loss ratio gets diluted by virtue of having other buildings covered and this can lead to reductions in premium.